Social influences on gene expression and brain development. Environmental conditions during early development shape brain development. The Meaney lab idenfitied phenotypic variations in rodent models that derive from variations in maternal care. Maternal care stably modifies the epigenetic state and expression of genes implicated in behavioural and endocrine responses to stress and learning. These studies were the first to describe the influence of the social environment on genomic structure and function. •	The molecular mechanisms by which environmental signals alter epigenetic mechanisms and gene expression in rodent models using a range of genome-wide analyses, including next generation sequencing. •	The effects of gene x environment interactions on epigenetic mechanisms in humans using longitudinal cohort studies. •	Epigenetic programming as a mechanism for the transgenerational transmission of traits in human and rodent models. •	The influence of extreme forms for childhood experience, such as abuse/neglect, on epigentic signals and genome function in relation to vulnerability for affective disorders. Yehuda R, Daskalakis NP, Lehrner A, Desarnaud F, Bader HN, Makotkine J, Flory JD, Bierer LM, Meaney MJ. (2014) Influences of maternal and paternal PTSD on epigenetic regulation of the glucocorticoid receptor gene in Holocaust survivor offspring. American Journal of Psychiatry. Bagot RC, Zhang TY, Wen XL, Nguyen TTT, Nguyen BH, Diorio J, Wong TP, Meaney, MJ. (2012) Variations in postnatal maternal care and the epigenetic regulation of Grm1 expression and hippocampal function in the rat. Proceedings of the National Academy of Sciences 109 Suppl. 2:17200-17207. Meaney MJ, Ferguson-Smith A. (2010) Epigenomic regulation of the neural transcriptome: The meaning of the marks. Nature Neuroscience 13:1313-1318. This is the highest award for biomedical research, given by the Government of Quebec, which "goes to scientists whose research aims fall within the field of biomedicine. These fields include the medical sciences, the natural sciences, and engineering". The 2014 Klaus J. Jacob Research Prize Laureate has been awarded to Micheal Meany in recognition of his pioneering, cutting edge research on the biological mechanisms by which parental behaviour affects brain development and lifelong function. The Klaus J. Jacobs Awards is one of two international prizes presented to honour scientific achievements that are of exceptional social relevance in promoting the development of children and youth.The Jacobs Foundation attaches great importance to the practical application of scientific findings achieved through interdisciplinary research. The Klaus J. Jacobs Research Prize also includes an award of one million Swiss francs, (1M USD). It is awarded to researchers in recognition of outstanding contributions in the field of neuronal plasticity: development, synaptogenesis, aging, regeneration, grafts, growth factors. The team from the radio show Les années lumière awarded the title of Radio-Canada Scientist of the Year 2009 to Michael Meaney and Gustavo Turecki for their discovery of the epigenetic effects of child abuse on the human brain. He is recognized by the Institute for Scientific Information as a "Most Highly Cited Scientist" in the area of neuroscience. The Royal Society of Canada (RSC) is the senior national body of distinguished Canadian scholars, artists and scientists. It is Canada’s national academy. The primary objective of the RSC is to promote learning and research in the arts and sciences. The National Order of Quebec is the highest recognition given by the government of Quebec. He is honoured as the Presidential Scholar by the University of California at San Francisco. He is awarded this prestigious award in recognition of his contributions to stress research.  The James McGill Chair is awarded by McGill to advance and support the scholarship and research of exceptional academic staff in priority areas of intellectual interest. He is presented the Patricia R. Barchas Award in Sociophysiology in recognition of the importance and sophistication of his research, from the American Psychosomatic Society. The Patricia R. Barchas Award in Sociophysiology, established in 1999, is to memorialize Patricia Barchas by furthering the field of sociophysiology, the study of the reciprocal relationships that could lead to long-term change both in social behavior and in physiology. Cost KT, Jonas W, Unternaehrer E, Dudin A, Szatmari P, Gaudreau H, et al. Maternal perceptions of paternal investment are associated with relationship satisfaction and breastfeeding duration in humans. J Fam Psychol. 2018;32(8):1025-1035. Fogel A, Fries LR, Mccrickerd K, Goh AT, Chan MJ, Toh JY, et al. Prospective associations between parental feeding practices and children's oral processing behaviours. Matern Child Nutr. 2018:e12635. Fogel A, Mccrickerd K, Fries LR, Goh AT, Quah PL, Chan MJ, et al. Eating in the absence of hunger: Stability over time and associations with eating behaviours and body composition in children. Physiol Behav. 2018;192:82-89. Fogel A, Fries LR, Mccrickerd K, Goh AT, Quah PL, Chan MJ, et al. Oral processing behaviours that promote children's energy intake are associated with parent-reported appetitive traits: Results from the GUSTO cohort. Appetite. 2018;126:8-15. Teo C, Chia A-, Colega MT, Chen L-, Fok D, Pang WW, et al. Prospective Associations of Maternal Dietary Patterns and Postpartum Mental Health in a Multi-Ethnic Asian Cohort: The Growing up in Singapore towards Healthy Outcomes (GUSTO) Study. Nutrients. 2018;10(3). Zhang T-, Keown CL, Wen X, Li J, Vousden DA, Anacker C, et al. Environmental enrichment increases transcriptional and epigenetic differentiation between mouse dorsal and ventral dentate gyrus. Nat Commun. 2018;9(1):298. Pennestri M-, Laganière C, Bouvette-Turcot A-, Pokhvisneva I, Steiner M, Meaney MJ, et al. Uninterrupted Infant Sleep, Development, and Maternal Mood. Pediatrics. 2018;142(6). Mandelbaum J, Moore S, Silveira PP, Meaney MJ, Levitan RD, Dubé L. Does social capital moderate the association between children's emotional overeating and parental stress? A cross-sectional study of the stress-buffering hypothesis in a sample of mother-child dyads. Soc Sci Med. 2018. Shanmugam R, Zhang F, Srinivasan H, Richard JL, Liu KI, Zhang X, et al. SRSF9 selectively represses ADAR2-mediated editing of brain-specific sites in primates. Nucleic Acids Res. 2018;46(14):7379-7395. Meaney MJ. Perinatal Maternal Depressive Symptoms as an Issue for Population Health. Am J Psychiatry. 2018:appiajp201817091031. Solomon O, MacIsaac J, Quach H, Tindula G, Kobor MS, Huen K, et al. Comparison of DNA methylation measured by Illumina 450K and EPIC BeadChips in blood of newborns and 14-year-old children. Epigenetics. 2018:1-10. Wee C-, Poh JS, Wang Q, Broekman BF, Chong Y-, Kwek K, et al. Behavioral Heterogeneity in Relation with Brain Functional Networks in Young Children. Cereb Cortex. 2018;28(9):3322-3331. Laganière C, Gaudreau H, Pokhvisneva I, Atkinson L, Meaney MJ, Pennestri M-. Maternal characteristics and behavioural/emotional problems in preschoolers: how they relate to sleep rhythmic movements at sleep onset. J Sleep Res. 2018:e12707. Parent C, Pokhvisneva I, Gaudreau H, Diorio J, Meaney MJ, Silveira PP. Community study found that cutaneous allergies in childhood were associated with conduct problems in girls. Acta Paediatr. 2018;107(5):900-901. Jonas W, Bisceglia R, Meaney MJ, Dudin A, Fleming AS, Steiner M. The role of breastfeeding in the association between maternal and infant cortisol attunement in the first postpartum year. Acta Paediatr. 2018. Guillaume B, Wang C, Poh J, Shen MJ, Ong ML, Tan PF, et al. Improving mass-univariate analysis of neuroimaging data by modelling important unknown covariates: Application to Epigenome-Wide Association Studies. Neuroimage. 2018;173:57-71. Yehuda R, Meaney MJ. Relevance of Psychological Symptoms in Pregnancy to Intergenerational Effects of Preconception Trauma. Biol Psychiatry. 2018;83(2):94-96. Silveira PP, Pokhvisneva I, Gaudreau H, Atkinson L, Fleming AS, Sokolowski MB, et al. Fetal growth interacts with multilocus genetic score reflecting dopamine signaling capacity to predict spontaneous sugar intake in children. Appetite. 2018;120:596-601. Soe NN, Wen DJ, Poh JS, Chong Y-, Broekman BF, Chen H, et al. Perinatal maternal depressive symptoms alter amygdala functional connectivity in girls. Hum Brain Mapp. 2018;39(2):680-690.